Note: Prior to attempting any of the recommendations discussed in this post, we strongly advise hiring or consulting with a professional service. Throughout a winter storm, stay off of the roads, stay inside, and stay dry. If a pipe bursts, turn off the water, take away the broken pipe’s layers of insulation and cover that pipe with strips of cloth. Furthermore, turn your heat down to the lowest temperature that you can bear ― wrap yourself in blankets to stay warm ― so that you can save fuel. That fuel will become precious if you need to stay at your home for a long period. If you lose power for an extended time, head to the nearest public shelter (check it out beforehand to be sure it is safe). Bring plenty of warm clothing, as well as soap, deodorant, toothpaste, toothbrushes, and so on. Ice dams can be very destructive. They develop over time as snow on your roof melts and refreezes, creating a layer of ice that expands back from the gutters of your home. Eventually, water is redirected under your shingles and finds a path into your home. Walls and ceilings then buckle from the water damage, which can eventually lead to costly repairs and mold problems. Before the first snowfall, the first measure that you should take is to have your gutters cleaned of fall leaves so that water can freely flow. After each snowfall, melting will occur during the day from the heat escaping from your roof and solar radiation only to refreeze during cold nights. As this cycle repeats over the course of a snowy winter, ice dams will form. 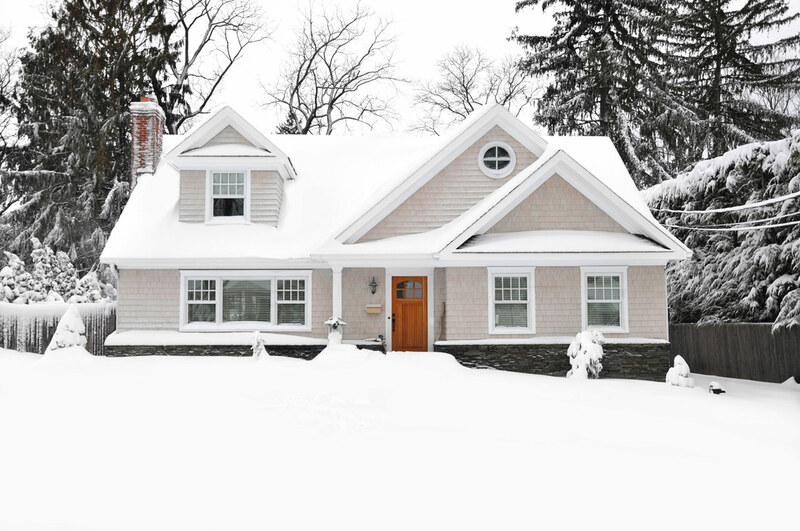 Ice dams can be avoided by removing accumulated snow from your roof. Areas of your roof such as valleys that tend to collect snow, are the most susceptible areas and should get special attention. Snow Rake – If you can comfortably use a snow rake, this lightweight implement is probably the better option. Shovel – If the snow seems to be too heavy for a rake, you should use a shovel. Whether you are shoveling or raking, clear your overhangs first as these structures are especially vulnerable to cave-ins. Next, slowly and carefully make your way to the top and be especially cautious that you do not hit any power lines. Of course, the easiest recourse for such snow removal after a winter storm is once again to schedule a professional service. ALE Solutions is 24/7/365 with live assistance nationwide. Learn more about our disaster response solutions!